An air conditioner can seem like an almost magical device. Just run a current of electricity through it and the fans and coils start working together to blast away the overbearing heat of a midday sun on a summer day. All of this is possible through the manipulation of the physical properties of the refrigerants that run through the veins of the AC system. The term “refrigerant” refers to any substance that uses an ability to easily undergo phase transitions to siphon heat from another substance. Over the years, dozens of different materials have been used, each assigned a designation (noted R-Number) to keep track of their properties. For in-home and office air conditioning, the refrigerant of choice has been R-22, a hydrochlorofluorocarbon (HCFC) named Chlorodifluoromethane. This has recently been replaced by R-401a, a mixture of R-22 with R-152a and R-124, which has less impact on the environment. The total range of possible refrigerants even includes familiar names like carbon dioxide and ammonia. Each AC unit is designed to operate with a specific refrigerant, although some interchangeability does exist. How Does the Refrigerant Work Inside an AC? The refrigerant is first put under pressure by a compressor, shifting it into a liquid state. As it passes through the compressor, it also serves as a lubricant. It then passes by the outside air where it emits heat before coming into contact with the evaporator coil. The refrigerant morphs back into a gas and replenishes its heat supply from the air surrounding the coil. The now chilly air is guided into the nearby room or ductwork where it cools your building. Do I Need to Renew or Replace the Refrigerant? The refrigerant in your AC is not used up in the cooling process, but that does not mean it is immune to malfunctions. Your primary task will be to monitor the cooling efficiency and schedule regular checks of the AC system. If you notice an unexplained increase in your electrical bill or warmer temperatures, it could be a sign of a leak somewhere inside the system. 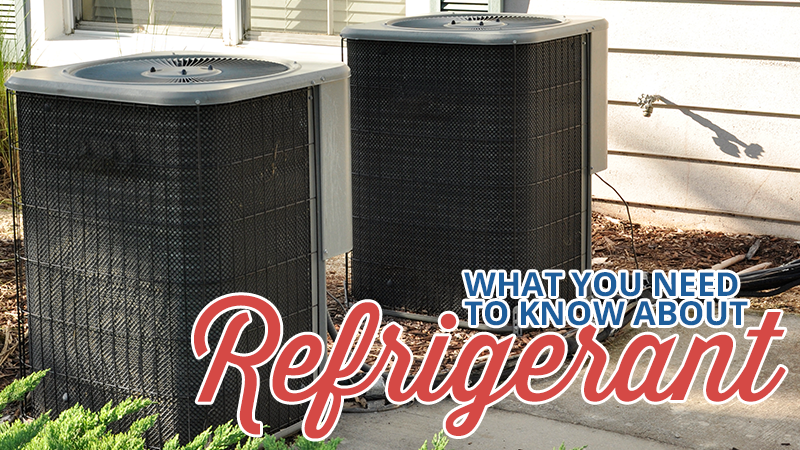 What Do I Do If I Have a Refrigerant Leak? The symptoms of a refrigerant leak should be seen as an emergency to investigate immediately. Your AC will be consuming more energy for less cooling, increasing your energy bill and discomfort more than any AC-empowering decorating tricks can mitigate. The lowered refrigerant levels also expose the compressor to damage as friction builds up heat. You may be tempted to find and repair the leak then add refrigerant yourself, but pumping in too much can damage the compressor, as well. Contact the HVAC specialists at Metro Comfort Systems as soon as you suspect a leak to schedule a professional inspection and timely repair. We’ll keep your family and friends from suffering in the heat and save you the cost of higher bills and future repairs.